Having a criminal record in Oregon or any other State is a drawback for anyone. This is because such a person is usually limited to doing various things including exercising their full rights as an American citizen. This include being unable to work for certain companies, get enrolled in certain institutions as well as own property. The good news though is that anyone with a criminal record can easily get it sealed or set aside. 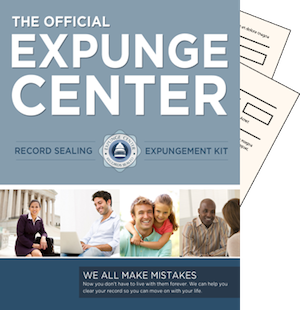 Oregon expungement is however guided by a certain criteria since not everything can be removed from public access. Traffic offenses including careless and reckless driving and DUI that resulted in a conviction. If one has been convicted of a crime that qualifies to expunge record Oregon, they can make an application have them sealed three years after the judgement was/is passed. However, in case the crime committed was categorized under the Class B conviction of felony, the defendant ought to wait for at least 20 years from the time of the conviction before they can be file to have their record sealed. In case of an arrest, one can petition to have their case files sealed one year after the initial arrest was made. To fully qualify, one shouldn’t have been arrested for the past three years before the current arrest took place. Whereby the case was dismissed or the defendant was acquitted, one is free to petition to have their case files sealed immediately after their dismissal or acquittal. This however only applies if you haven’t been arrested of committing another crime within a three years period. Getting a fingerprinted card through the local sheriff’s offices. Get the court forms from the nearest court within the jurisdiction where the arrest took place or where the court from where you were convicted. One may as well access the form from local stationery stores but would have to purchase them. Then, one ought to complete the court forms accordingly and then file them through the court where the conviction took place. Though one may keep a copy of their own forms, the court has to always be presented with the original forms. The paperwork ought to also be notarized by the court’s clerk. This can be done by signing the forms in the presence of the court clerk. One has to then present their paperwork to the prosecuting attorney. The prosecuting attorney’s office sends a copy of the forms to the Oregon State police for authentication and then offers a denial or approval for the sealing of the defendant’s case. If approved, the court under which the conviction took place is left to make the final decision as to whether the petition is to be approved or denied. If the prosecutor’s office denies your petition, then a hearing is set and the defendant is notified to appear before the court. At such, the defendant ought to argue their case before a judge. If the motion is granted, all of your case files will be sealed.